Unlike most national parks, you can count the number of paved roads and maintained hiking trails in Death Valley National Park on one hand. The landscape of sparkling salt flats, winding canyons, shifting sand dunes, and towering mountains isn’t just remarkable because it’s dramatic; it’s remarkable because it’s pure. Death Valley is 3.4 million acres and is 91% designated wilderness, making it the perfect place to sleep under the stars and experience true solitude. Even when considering park regulations, which dictate where you can and cannot pitch a tent, the opportunities for backcountry camping still seem endless. While fans of the desert might argue that it’s impossible to find a part of Death Valley that isn’t beautiful, the following five spots are nothing short of magical. The lack of fanfare around the Butte Valley is kind of shocking, but hey, that leaves even more room for you. Striped Butte, the zebra-esque peak that gives this remote valley its name is worth the trip alone. A visit to the Butte Valley would not be complete without a hike to its 4,744 foot summit. The Butte Valley is accessible from the east via Warm Springs Canyon Road, a rough, 4WD, high clearance backcountry road or from the west via Goler Canyon Road, which just might be the nastiest, most challenging drive in the park. The latter, which can be done as a backpacking trip if you lack the proper vehicle, contains a side trip to the ruins of the Manson family’s old hideout, which mysteriously burned down in 2009. Once you reach the Butte Valley, check to see if the first come, first serve Geologist's Cabin is available. The beautiful stone structure is perhaps the best backcountry cabin in the park. If it’s not, pitch your tent just about anywhere on the valley floor where you’ll enjoy views of the Panamint Mountains and wild burros grazing at the base of Striped Butte. If you have even a passing interest in geology, you’ve probably heard of Death Valley’s Racetrack. The massive dry lake bed is the site of the park’s sailing stones. These rocks, some weighing as much as 700 pounds, move across the playa and leave tracks on the surface. Recent research suggests that a specific combination of thin ice and light wind is responsible for the phenomenon, but while walking amongst them it's tempting to consider your own conspiracy theories (we’re going with aliens). Other highlights of a visit to the Racetrack include a stroll to The Grandstand, an island made of quartz monzonite that’s dark coloring presents a stark contrast to the white lake bed. While you can’t camp on the Racetrack, you can camp at Homestake Dry Camp, which is just north of the playa. It’s not uncommon to have the whole place to yourself, due to the fact that the Racetrack is only reached by a rough, 4WD road lined with sharp rocks known for shredding the tires of rental cars. If you have the right vehicle, and you don’t mind a long journey through some of the most desolate reaches of the desert, camp on a full moon, when the playa takes on an unearthly glow that’s perfect for night wanderings. Death Valley isn’t just rocks and sand. It’s also home to one seriously impressive Joshua tree forest. 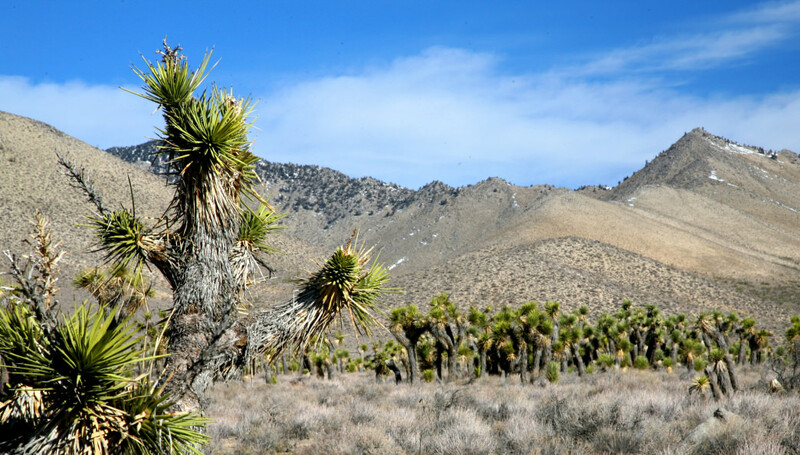 Located in the western part of the park, the Lee Flat Joshua Tree Forest is the largest concentration of Joshua trees in Death Valley. The road to the forest is bumpy but is typically fine for any vehicle (always check with the park service first) and will take you into the heart of the high desert. There is no dry campground here, so camp wherever you like. Just be aware of your surroundings and watch your step as desert creatures like tarantulas and snakes can be seen in this area. The trees, which are actually members of the agave family, can grow more than 20 feet, and you’re sure to see some especially tall ones here. Legend has it that they got their name from Mormon pioneers who likened their limbs to the outstretched arms of the prophet Joshua, who was beckoning them towards the promised land. Spend a night under the stars and in the shadow of these incredible trees and you’ll understand why they felt that way. 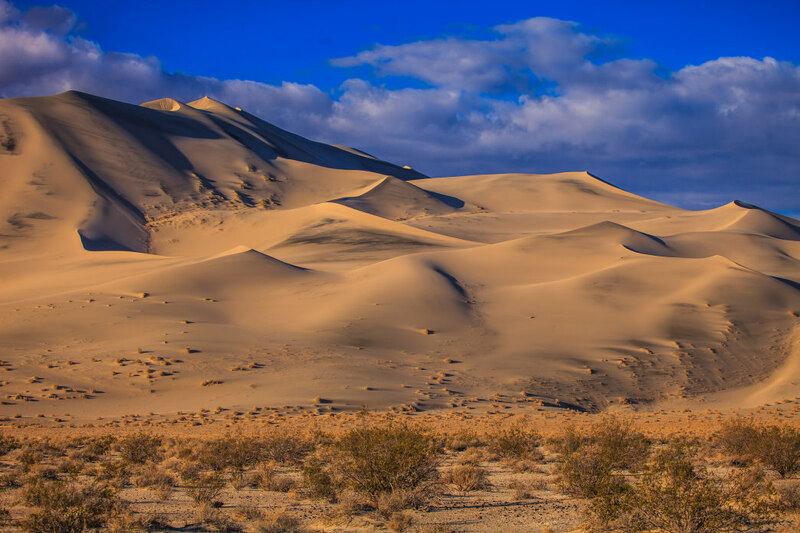 At a height of 680 feet, the Eureka Dunes are the tallest dunes in Death Valley and the second tallest dunes in the country—the Great Sand Dunes in Colorado are 70 feet higher, but who’s counting? 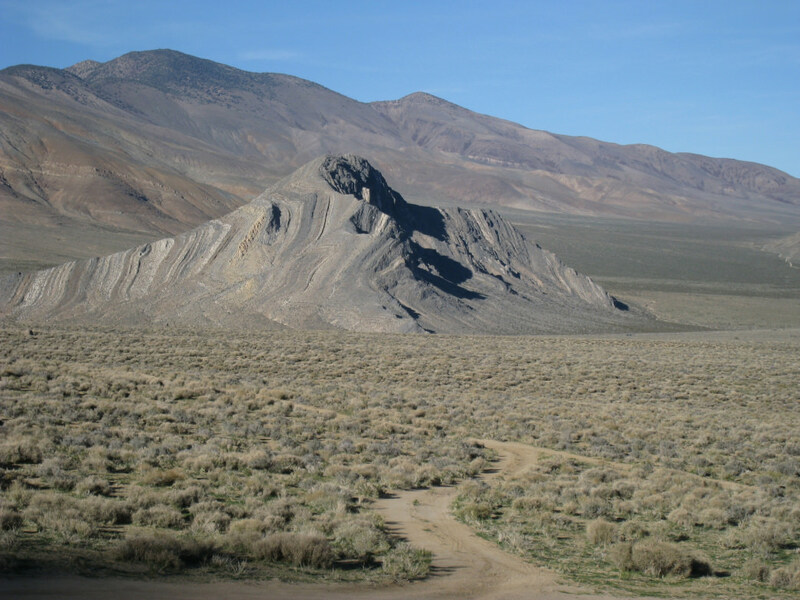 Located at the base of the Last Chance Range in the Eureka Valley, these dunes are accessible from inside the park via a rough, 4WD, high clearance backcountry road or from the town of Big Pine by way of a significantly less rough road which can sometimes be driven in a sedan (once again, ask the park service about current road conditions). You can spend an entire day climbing the Eureka Dunes, and doing so is worth the effort for the sweeping views of this remote valley. If you’re lucky, you’ll experience the curious magic of the singing dunes, a low booming sound that occurs on dry days when high wind speeds cause sand to get pushed down steep slopes. The vegetation in this area is fragile, so take care to camp away from the base of the dunes. From the dry camp, the sight of the sun setting on the mountains of sand is unforgettable. 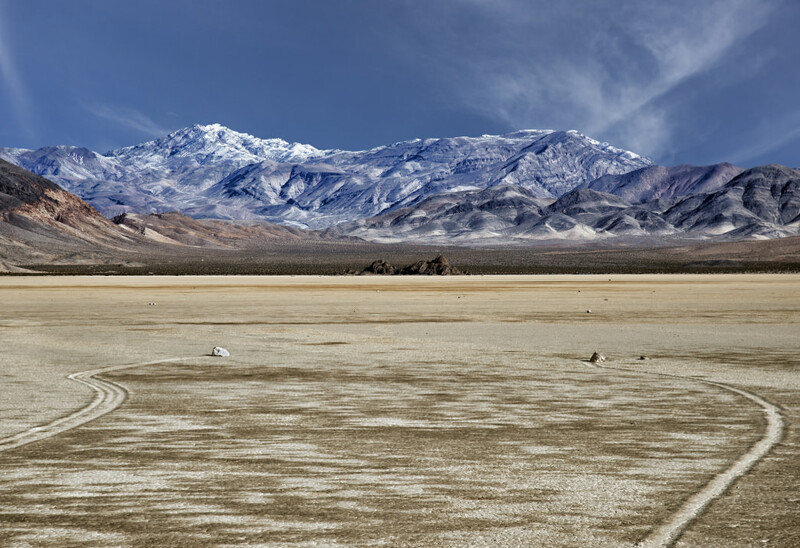 The Saline Valley is perhaps the most remote part of Death Valley—a place already known for its remoteness. Located in the western region of the park, the Saline Valley is absolute, perfect wilderness, a landscape untouched by pavement, hotels, and modern conveniences. In fact, the nearest gas station is hours away. The landscape is defined by a shallow salt lake, undulating sand dunes, traces of long abandoned mining activity, and the Inyo Mountains, which hold wildlife and secret waterfalls. In short, the Saline Valley is what the world looked like before civilization. 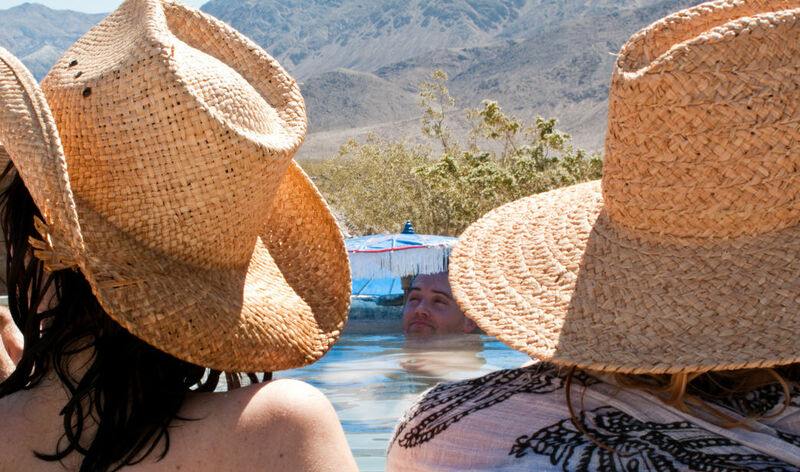 Dispersed camping is available throughout the Saline Valley, but if you really want an 'I-can’t-believe-this-is-here' experience, make your way to the Warm Springs, a desert oasis where you can soak in natural hot springs sans clothing and watch the sunset while bats periodically descend for sips of water. You can pitch a tent at the upper springs if you prefer more solitude or the lower springs if you’d prefer the shade of the palm trees (and you don’t mind the occasional burro stopping by). The dry campground is free but does have a host who lives there full time, so it’s always a nice idea to bring some kind of supply like toilet paper for the pit toilet. The hot springs and the dazzling Saline Valley itself can be accessed from several different routes, ranging from rough to perilous, so make sure you have the correct vehicle and know the way. Like every destination on this list, getting here is an adventure, whichever way you choose.